Looking for an unusual and quality gift? 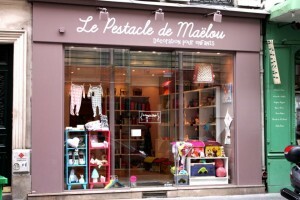 Go discover the concept store The Pestacle de Maëlou, you will find everything for your child. Furniture like beds, wardrobe, chair or decoration as the cutest toy chests, rugs and even tepees! It also suggests a wide range of sleeping bags or colorful dishes! Also find many toys, soft toys and musical instruments. This shop is a real alibaba’s cave! If you don’t live in Paris, Le Pestacle Marilou has an online shop!